The perfect pint sized tankard. the Large Mancunian Tankard 0.57ltr is a superb quality clear glass tankard with a thick glass handle and curved edge into the base. 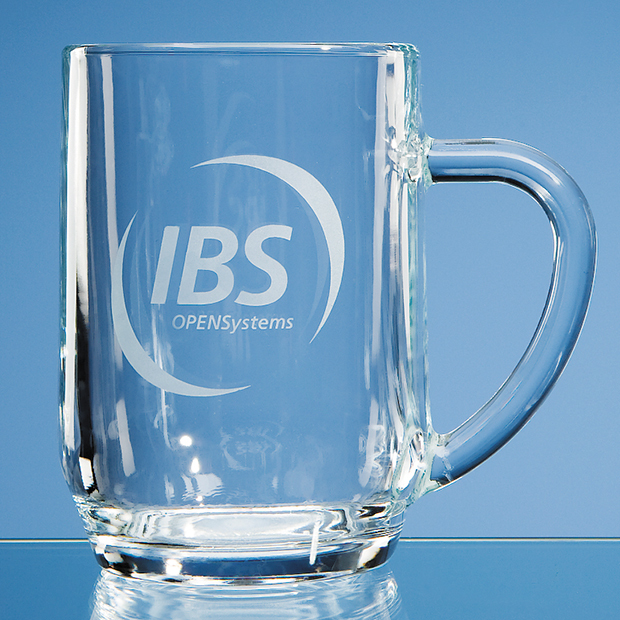 his smooth surfaced glass tankard offers a large space perfect for displaying your choice of text and logo engraving. 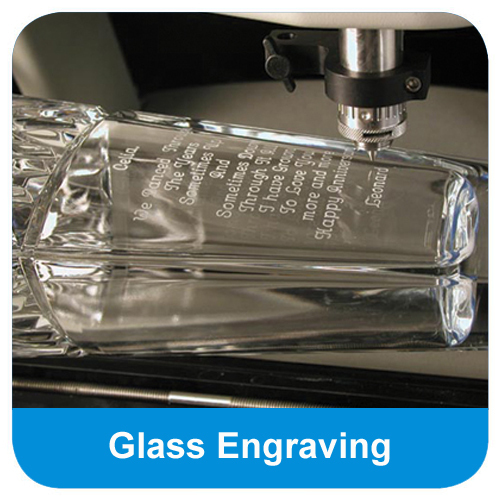 Simply inform us of your personalisation and we will quality engraved the glass to suit your event. 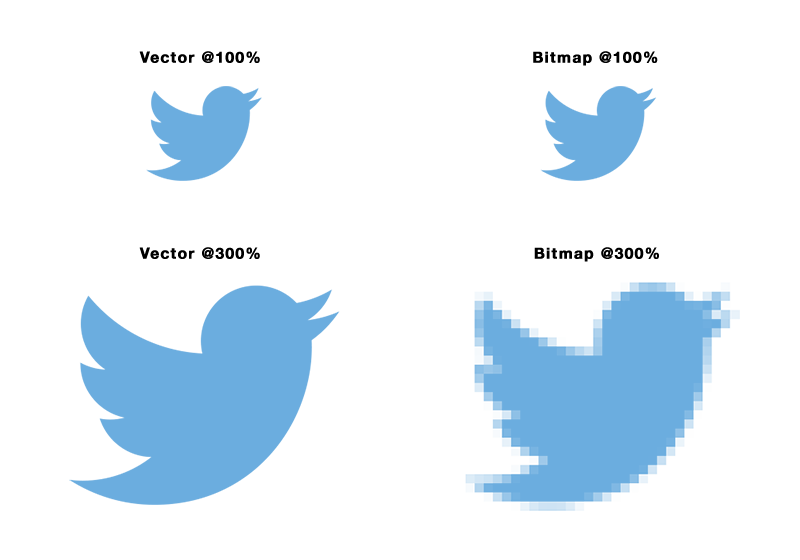 Supplied in a FREE skillet box with the option to upgrade to a premium satin lined box. The Large Mancunian Tankard 0.57ltr can be purchased with or without personalised high quality engraving. 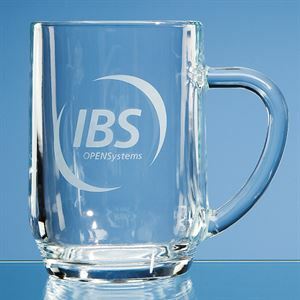 Also available in a smaller half pint size, the Large Mancunian Tankard 0.57ltr is a pint sized glass tankard with a curved edge and thick glass handle. 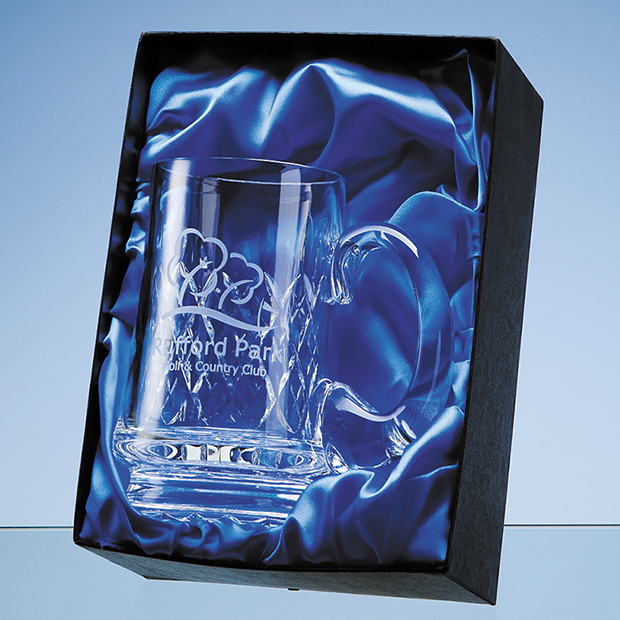 This premium tankard has a sophisticated finish, and smooth glass face perfect for the optional addition of high quality glass engraving. Perfect for a professional presentation or personalised gift, the Large Mancunian Tankard can be tailored to meet the needs of any occasion. 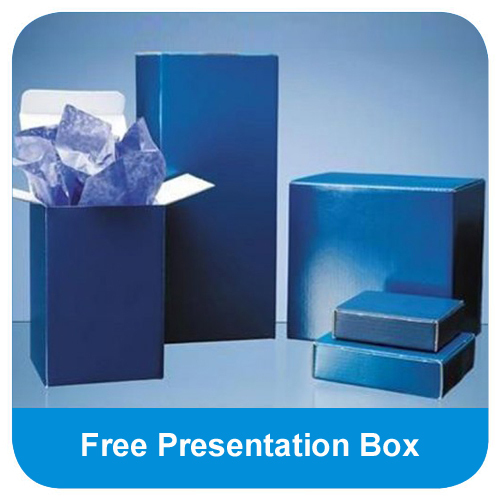 Supplied in a FREE standard skillet box or why not upgrade to a satin lined presentation box for a special touch.